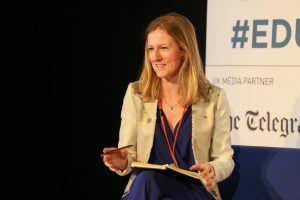 Laura McInerney is an education journalist – now a columnist for Schools Week, she was formerly the editor for 3 years, and has written for The Guardian for 5 years. She is also a co-founder of Teacher Tapp, a daily survey of teachers’ lives, and was once taken to court by Michael Gove for asking difficult questions. The history of artistic endeavour is strewn with rebels who ignored their parents’ wishes. Miles Davis’s dad wanted him to become a dentist. Frida Kahlo was supposed to be a scientist. Even Shakespeare’s family tried to co-opt him into being a wool merchant. Following a creative path requires a strong spirit, but what if it was made harder by removing artistic training opportunities and only left a path towards dentistry or science? Quietly, for the past few years, the government has been attempting to link together national income tax records, which holds everyone’s salaries, with higher education data, captured in student loans records, and, eventually, link all this to the national pupil database, which holds school records for everyone under the age of 33. Once complete, ministers will be able to see exactly how certain qualifications contribute to a person’s earnings such that, in future, the government could make more, ahem, ‘thrifty’ decisions about the subjects it chooses to fund within schools, colleges, and university. More recently, government research flashed the salary rates of graduates in different degree subjects across newspaper headlines. Creative arts and design students scored lowest, with an average earning of just £20,000 one year after graduation. Economics graduates, meanwhile, were raking in around £33,000. You can see why Shakespeare’s parents thought business was more lucrative! Both sets of data have some serious issues. The GCSE and A-level estimates were only based on samples taken from across the entire adult population in the Labour Force Census in the mid-2000s. Statistical jiggery-pokery means the estimates may not be way off, on average, but these figures are certainly outdated. 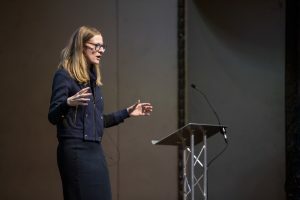 What an adult of 60 experienced as their earning pattern throughout the late 20th century is unlikely to tell us much about what a young person today will see happen to their income over the next half a century. Furthermore, the whole thing relied on self-reported qualifications. And while I was very keen on writing down every last GCSE when I was applying for Saturday jobs at age 16, these days I rarely list them at all. (Especially that low grade in food technology – darn you, cookery!) The researchers note this problem and admit it’s impossible to say the extent to which it messed up the figures. Using the national pupil database in future will help as the records are better-kept, although they’re not perfect. Experts who regularly use the database for social research often complain of its holes and problems. More problematic for the arts industry, however, is the link with tax records. Tucked away in last year’s salary research a graph shows what percentage of each subject’s graduates are self-employed. Guess who had the highest percentage? Yup, creative arts and design! And why does this matter? Because self-employed income lags in the way it shows up in tax records. While salaried income drips into the tax office’s computer database each month, the annual ‘self-assessment’ rigmarole for those who are self-employed means the data comes in later, which means that cash is missed out of the salary headlines altogether. Here’s another headline you probably didn’t read: once you add in self-employment, then after five years, creative arts and design students have a higher employment rate than graduates in computing. Beyond all this, some other logical points should also kick in to show that arts education can be lucrative. Last year the creative industries contributed £90bn to the economy. The 2017 Forbes list of Britain’s fastest-growing companies heavily feature advertising and media companies. Even one of the recent big political stories – Theresa May’s £995 Amanda Wakeley leather trousers – show that British fashion designers are still a hot trend! I also understand, reader, if at this point you want me to say that creativity is about more than money. It is, of course, much more important than that. But government ministers are custodians of taxpayers cash, and so I’m happy to meet them on their own terms and live with the idea that pounds should be spent efficiently. It just doesn’t seem as if the evidence, in the end, will be on their side. For now, however, we must wait. It may be a while before the results are fully known and widely available. 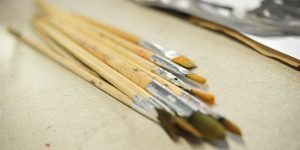 In the meantime, artists everywhere will need to carry on the generations-long tradition of not giving a stuff what other people tell them they ought to do, and instead keep blowing their trumpets, or wielding their paintbrushes, regardless.